Ten thousand bodybuilding enthusiasts filed into the Orleans Arena for tonight&apos;s Olympia contest. Among the rabid fans were plenty of Kai Greene followers who believed this year, finally, would be theirs. Other audience members sat firmly in Phil Heath&apos;s camp and made their presence well known. Still others believed whole-heartedly that Shawn Rhoden or Dennis Wolf deserved the Olympia gold medal. No matter which contender you were rooting for, tonight&apos;s competition will be widely hailed as one for the record books. The 2013 show began with a tribute to the godfather of bodybuilding, Joe Weider. And before each competitor&apos;s individual routine, he shared a short story about his experiences with Joe. The 49th Olympia was, undeniably, dedicated to the Master Blaster. After the individual routines, every competitor was called back on stage for the confirmation judging round. And like last night, Kai and Phil were clear winners. Although the top two seemed to be sewn up, the rest of the top six were a little hazy. Dennis Wolf came to play and hounded Shawn Rhoden and Dexter Jackson to earn a spot in the top five once again, following his slip to sixth last year. The first callout also included Jay Cutler, who looked far tighter than he did during prejudging. 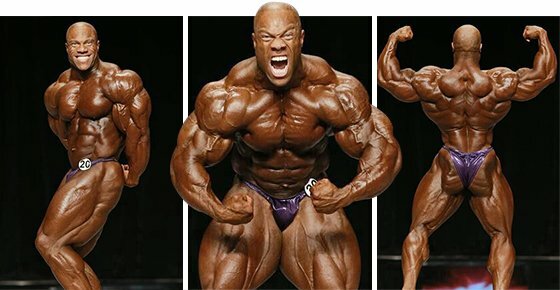 Mamdough "Big Remy" Elssbiay, Lionel, Branch, Victor, and Roelly were in the second callout. In other divisions, those in the second callouts rarely finish in the money, but in the Mr. Olympia, the top 10 finishers get a piece of the prize. That made the competition all the more meaningful and fun to watch. Branch, Remy, and Roelly were sent back in line and Cedric McMillan, Evan Centopani, and Steve Kuclo joined Victor and Lionel on stage. After that, Toney Freeman, Essa Obaid, Baito Abbaspour, and Brandon Curry had their turn to be compared. For the final callout though, the judges asked Dennis, Phil, and Kai back to center stage for mandatory posing. The top three looked rock-solid. After a break for Figure Olympia and the 212 division, the judges asked the top 10 competitors back on stage. The guys hit their mandatory poses and then waited for the house music to erupt. The posedown surprisingly included a celebratory walk through the audience, where fans got to see their heroes up close and personal as they were competing. A moment of loud ovation followed, led by Joe&apos;s wife Betty Wieder. And finally, the judges were ready to make their final call. Jay Cutler made the cut with a sixth place trophy. The reaction from the crowd proved that Jay truly is Vegas&apos;s own son. Fifth place went to Dexter Jackson, who looked great and definitely moved up a spot or two from yesterday evening. At 43, "The Blade" continues to defy time and shows no sign of slowing down. Fourth place went Shawn Rhoden&apos;s way, a small step back from his breakthrough third-place finish in 2012. He&apos;s got the right look, though; many say it&apos;s just a matter of time before he finds himself with the Sandow. The bronze medal went to big bad Dennis Wolf. While he was absent from the top six in many previews, Dennis brought an unbelievable package to the show and was handsomely rewarded. 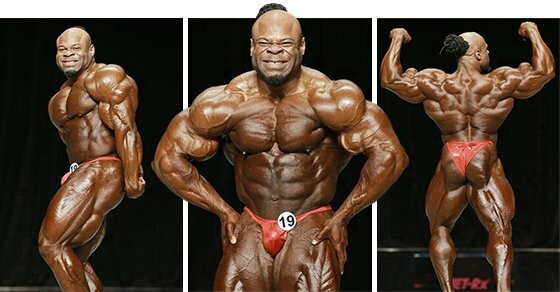 Kai Greene was awarded second place, and there was little doubt who was going to win. Phil&apos;s structure is simply too difficult to match. Watching the two of them compete, though, is what bodybuilding is all about. Phil accepted his award with a lovely tribute to his wife, who was diagnosed with breast cancer earlier this year. His candid speech left even the biggest muscle men a little teary-eyed. They&apos;ll be sure to give him a serious run for his money next year, though. If anything, the Olympia&apos;s competition is only getting deeper and tougher to dominate.